Welcome to Rice Bread ‘BEIGURU’. 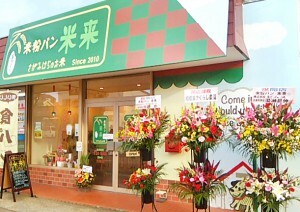 BEIGURU is the bakery which has produced bagel, table roll, chiffon cake and others made from rice fresh milled. ◇Not contain dairy products — milk, cheese, butter and more — and egg. ◇Sugar free bread and salt free bread can be specially made if you demand. ◇Gluten free breads might be called and reserved as they are often sold out. If you have any allergies or foods you dislike, let me know. If you made reservation; 11am-7pm. ★★Breads will be shipped if you want. Copyright © 2016 LOV株式会社 All Rights Reserved.